The Australian Bleeding Disorders Registry (ABDR) is a clinical tool used on a daily basis by clinicians in all Australian Haemophilia Treatment Centres (HTCs) to assist in managing the treatment of people with bleeding disorders. Visit Australian Bleeding Disorders Registry for more information. BloodPortal provides a central user management and authentication system, enabling users of NBA systems to have one single username and password, one place where they can update their contact details with the NBA and subscribe to mailing lists relating to transfusion in Australia. Visit BloodPortal for more information. BloodNet is the national online ordering and inventory management system, enabling staff in pathology laboratories and pharmacies to place orders online for blood and blood products, record inventory levels and to record the final fate of each unit (e.g. discarded, transferred, transfused). Visit BloodNet for more information. Jurisdictional Reports enables Jurisdictional Blood Committee (JBC) members and their nominees to access a range of online reports by directly querying NBA systems. Visit Jurisdictional Reporting for more information. MyABDR is a secure app for smartphones (Android and iOS) and a web site for people with bleeding disorders or parents/caregivers to record home treatments and bleeds, manage treatment stock, share information with their Haemophilia Treatment Centre and update personal details. Visit MyABDR for more information. BloodSTAR is an online system used in all States and Territories to manage access to the supply of government funded immunoglobulin products. The system manages the authorisation request and review process for the treatment of conditions identified in the Criteria for the clinical use of intravenous immunoglobulin in Australia. The barcode symbologies used on blood and blood products funded under the national blood arrangements are changing. Australia will soon move to globally recognised standards for all products. Visit Barcode Specifications for more information Criteria for the clinical use of intravenous immunoglobulin in Australia. Visit Data & Research for more information on the National Blood Sector Data and Information Strategy. 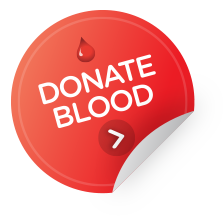 Further information on Blood Systems is also available by email support@blood.gov.au or by telephone 13 000 BLOOD (13 000 25663).